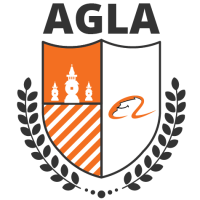 Alibaba Global Leadership Academy (AGLA) is a transformational talent development program dedicated to fostering future international leaders of Alibaba and of the new economy. Follow us on Instagram: Alibaba.agla and Linkedin: Alibaba.agla. Through job rotations at Alibaba core business units combined with classroom and experiential training, AGLA participants will graduate equipped to serve as Alibaba’s global business leaders and cultural ambassadors, linking international markets with what is soon to become the largest economy in the world – China.